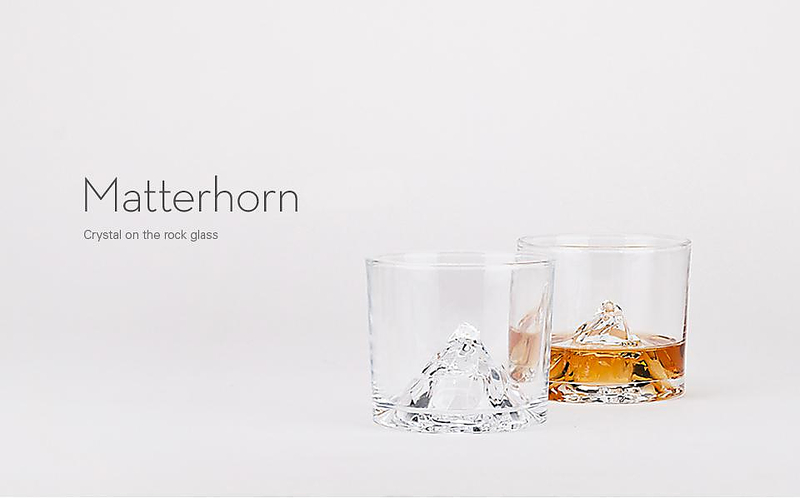 HomeBlogHome DecorMatterhorn Whiskey Glasses by Tale Design. 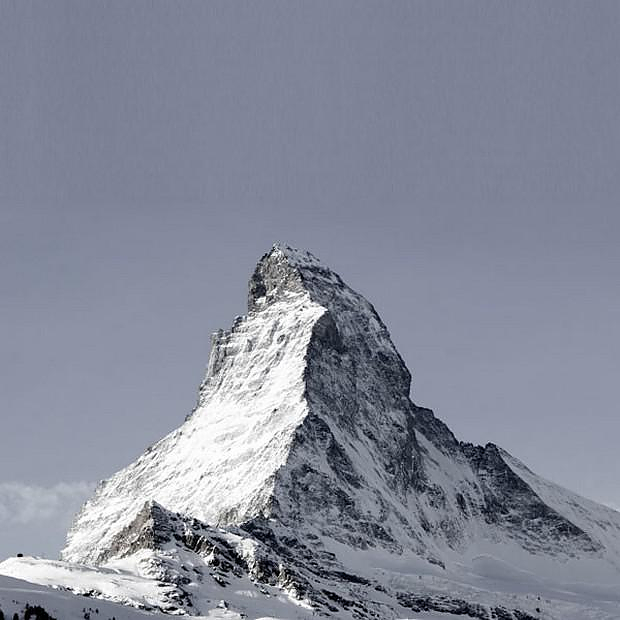 At 4,478 meters (14,690 ft) height, the Matterhorn is one of the highest peaks in the Alps and a distinctive wedge between Switzerland and Italy. The peak has been enticing brave adventurers for centuries and is considered an iconic image of the splendid alpine scenery. 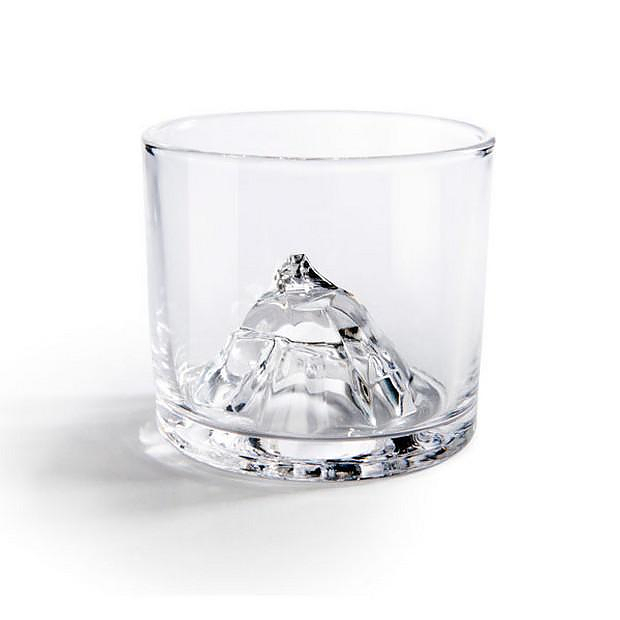 As the original Matterhorn entices mountaineers to scale its summit, so too does the Matterhorn glass entice drinkers to sip their whisky from this awe-inspiring tumbler. 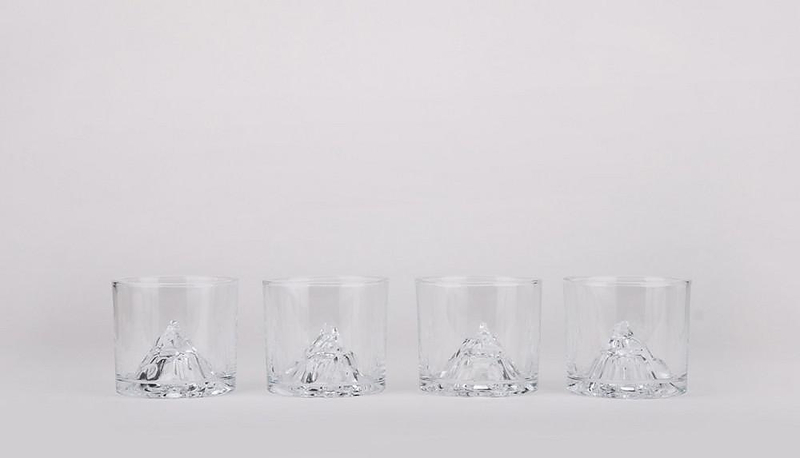 The unique whiskey glasses were designed by Tale Design and are crafted from premium quality crystal. 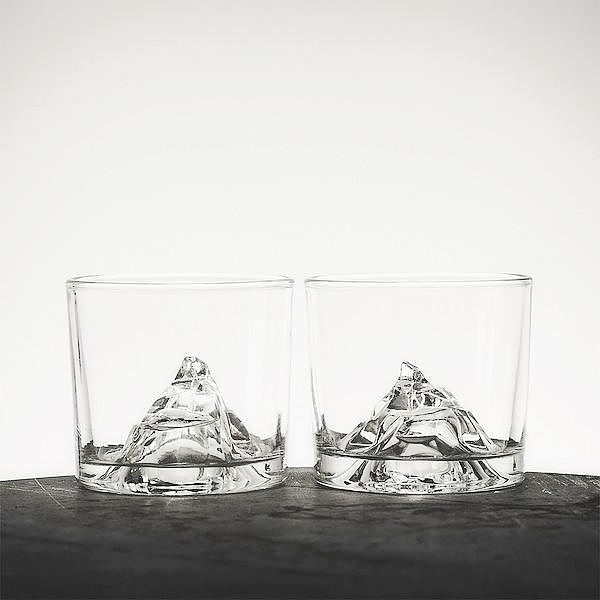 They are typical lowball glasses size and shape wise, but the bottom of the glass rises up, forming a detailed silhouette of the beautiful mountain peak. 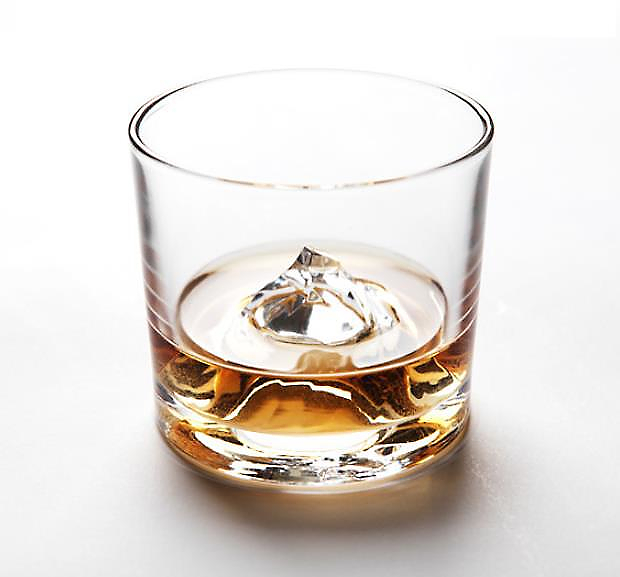 Of course, these dazzling glasses look even more impressive when filled half full with liquor. 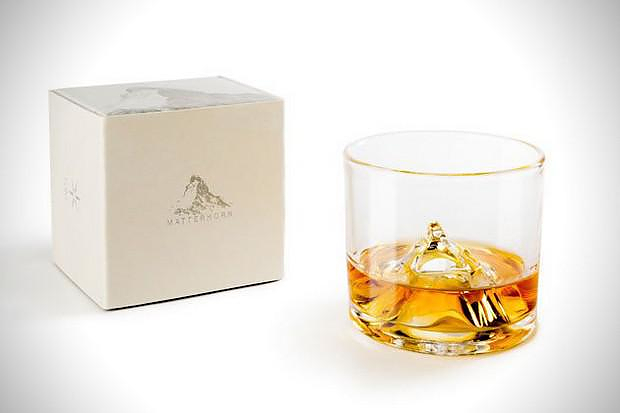 Apart from the stunning design, we quite enjoy the imagery and feeling of the Matterhorn Whiskey Glasses. 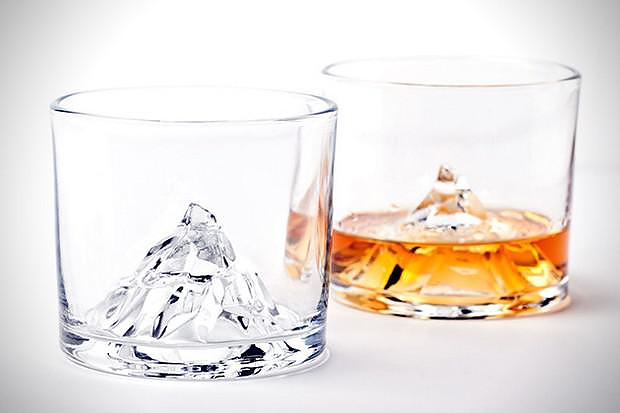 Simply gazing at these tumblers one immediately thinks of winter, cold and snow, what better excuse to sip a bit of whiskey. 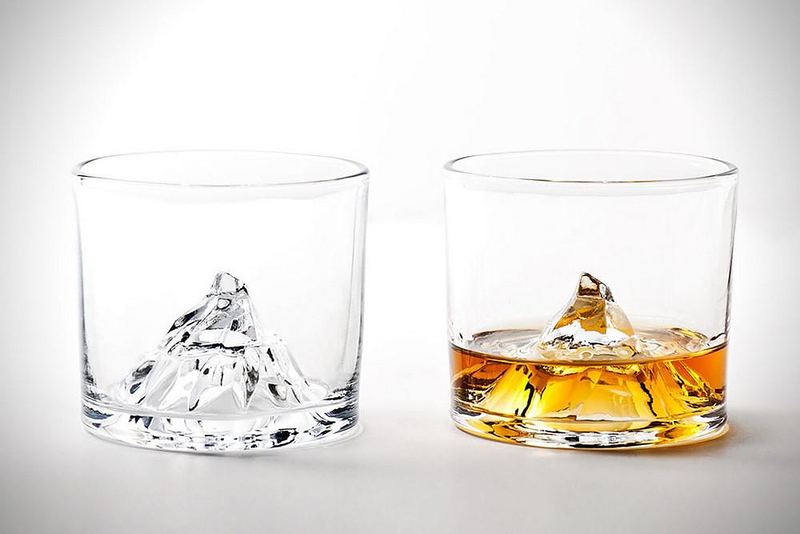 They might not have much room for rocks, but with such a detailed replica, you can pour your best scotch up to just below the mountain’s peak and enjoy the alpine scenery without having to travel, nor endure the cold of the Alps! Doomed Crystal Skull Shot Glass.